Are you looking for secure furniture storage? We can accommodate anything from a single piece of furniture to the entire contents of your home. Whether you need to store for just a few days or for longer periods, we can help. You are charged only for the time you use the storage facility and there are no minimum periods. Storage can be ideal when you are renovating or decorating, keeping everything safe and clean. You may wish to store items when you are selling your home to minimise clutter and make you house appear more spacious. We will collect and inventory your furniture and any other possessions and store them securely in our clean, dry, safe facility. 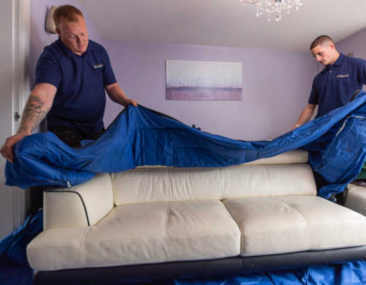 Furniture is protected with our padded covers and crated where appropriate to ensure there is no damage during transit or storage. When you are ready we will return your furniture back to you. If you are selling your home being able to store your furniture quickly can sometimes make the difference between keeping or losing a sale.